Lapel Pins Die Struck Soft Enamel 3/4"
Custom Die Struck Iron Soft Enamel Lapel Pins are the economical choice for promotional applications, trading pins, and colorful enamel designs on a budget. 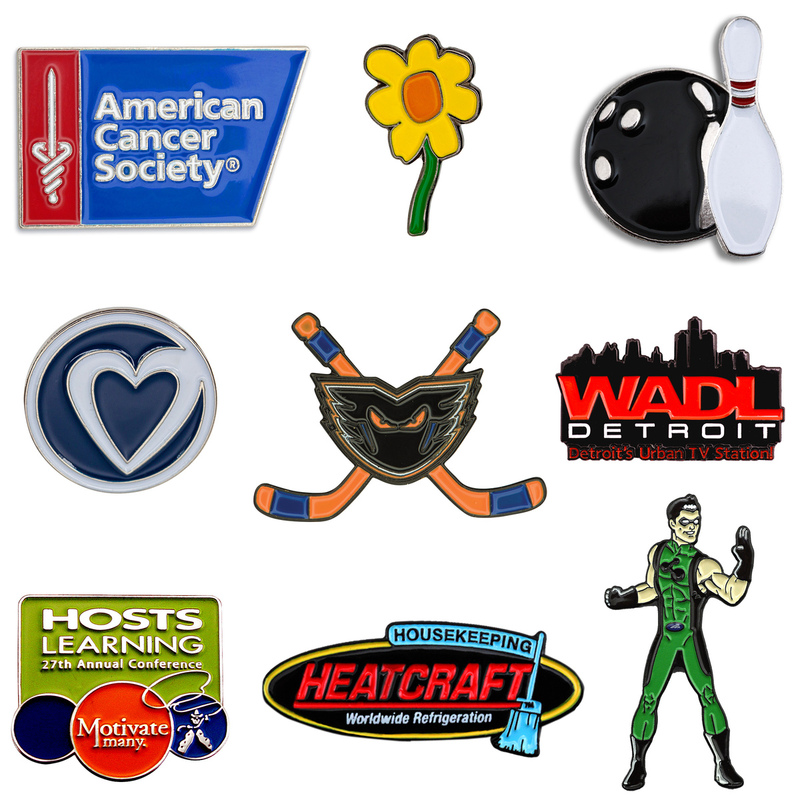 Showcase your logo or mascot, and create memorable events with a classic enamel pin. • Your choice of Gold Tone, Nickel, Copper or Black metal finishes included. • FREE PMS color match. • Optional printed cards available for retail sale in company stores, gift shops or for achievement presentation. Gift boxes and other packaging options also available. • Set-up Charge on first pricing column only. *Brass and zinc material require 2 magnets. Other sizes available, call factory for pricing.